Protecting the legacy of Na Pali. Forever. 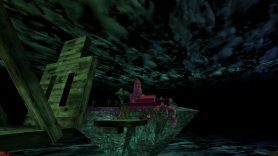 Na Pali Odyssey – Episode One: Sky Escape could as well be considered the first release of Danish mapper Nicklas “DeluxScan” Teisner, asthe short SP campaign’s first playable map is actually a slightly altered version of his first release Sky Isles. Therefore Sky Isles is widely considered part of the Sky Escape map pack. 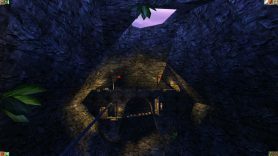 However, because of the 2 years that passed between the release of the two, and because we at Unreal Archives love to document Unreal SP mapping history in as much detail as possible, we dedicate Sky Isles its own download page. About the campaign itself, we have to say that it is a very good debut project with some original ideas, nice visuals and a typical “Unreal” feel. The worst thing about it is that it is super-short and a pity it was never continued in an Episode 2, as planned. It was one of the very few Unreal SP releases from the mid 2000’s we know about and as such it was a much needed “refreshment” for the Unreal community. We consider it a must-play. If you like these maps please consider throwing a penny for hosting costs. This topic contains 0 replies, has 1 voice, and was last updated by Archivist 14 years ago. This is the auto-generated forum topic dedicated to Na Pali Odyssey – Episode One: Sky Escape.